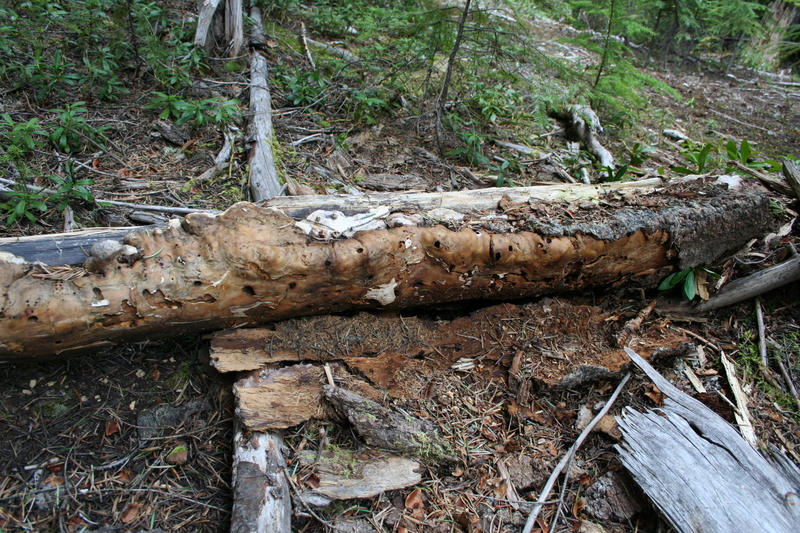 That log in the center of the photo is coated with some strange fungus. 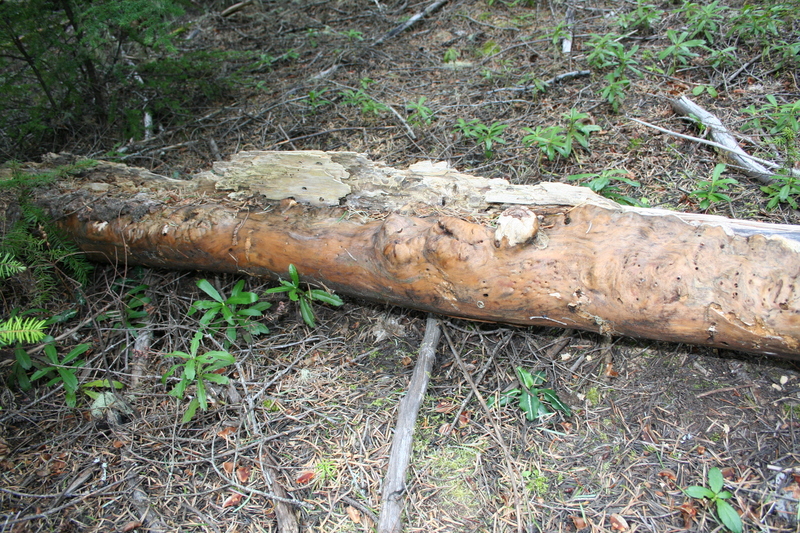 It was sort of rubbery and the same color as healthy wood (it’s the brown stuff – the actual wood of the log is silvery grey). It’s wrapped around the wood like a new skin, but a shiny, smooth new skin. I found a description of Bleeding Broadleaf Crust (Stereum rugosum). 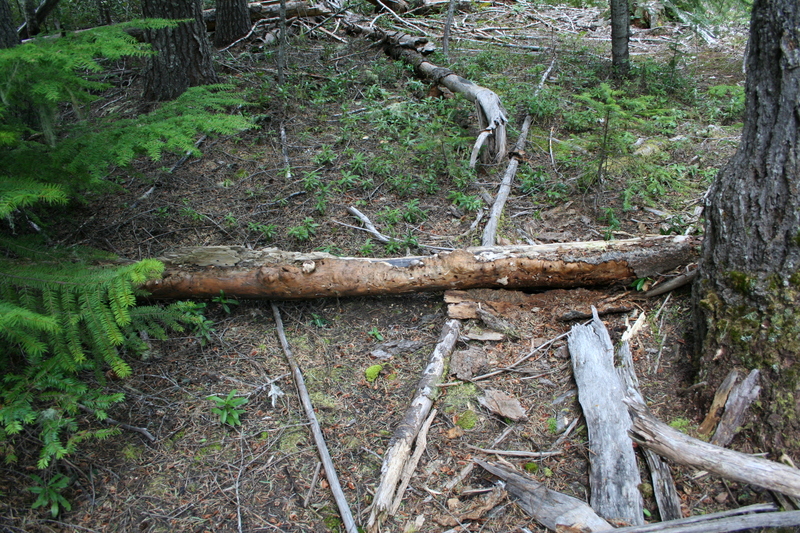 I think that could be what covers this log, but then… the descriptions all say it is a fungus of deciduous trees and I found this dead tree in a coniferous forest. That isn’t to say it couldn’t have been deciduous (alder or big leaf maple, perhaps). I just thought the rubbery looking brown fungus was… creepy. And rather fascinating.